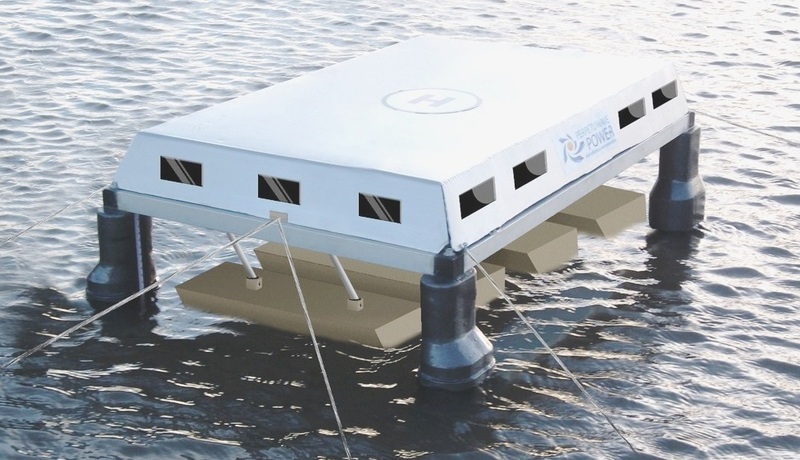 Wave energy developer Perpetuwave Power has announced that its recently established subsidiary, Perpetuwave Power UK Ltd, has been awarded a $113,000 grant from the European Regional Development Fund Convergence Program to support development of its “Wave Harvester” technology. 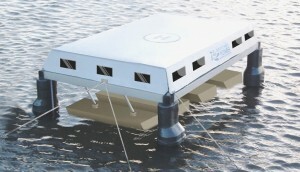 A scale model of the 460HE pilot Wave Harvester power plant, the first in our product range. The architectural design of the 460kW unit is protected by © Perpetuwave Power 2013. The company will also open an office in Cornwall and will work closely with the University of Exeter which has a specialist anchor and mooring division. As part of the grant funded project, Perpetuwave Power’s UK subsidiary will conduct a series of tests on a scale prototype to provide authentic performance data over a comprehensive range of wave heights. “These authentic results can then be used to reliably forecast electricity generated, and revenue of commercial projects,” said Glen Dullaway, Chief Executive and Managing at Perpetuwave Power Pty Ltd.
Shaun Coffey, Chairman of Perpetuwave, said that the grant was timely and would help the company advance to a full-scale pilot plant as the final step in the technology authentication phase. “We have a breakthrough technology and there is still an opportunity for other interested parties to join with us in marketing this new and exciting renewable energy technology to the world,” he said. “This Convergence investment further cements our region’s growing international reputation with wave energy companies, and strengthens the research links between the renewable industry and our academic institutions,” said Chris Pomfret, Chairman of the Cornwall and Isles of Scilly Local Enterprise Partnership, and Deputy Chair of the Convergence Local Management Committee which steers the ERDF Convergence Programme. At the heart of the Wave Harvester lies the Hybrid Float technology, which was developed by mathematically modeling the wave energy extraction process using positive displacement floats. By operating in harmony with the waves, the technology harvests energy and transfers it to a conventional rotary generator via a simple direct drive which has low wear rates and is easy to maintain.